The year was 1989. I was seven. My obsession with all things Christmas had reached epic heights. It peaked with a little film called Prancer. I remember when my dad came home from work early, which was a big deal, to take my mom and me to see the movie. I’ll spare you a synopsis but know this; the question of Santa’s authenticity is at the center of the film’s story. I’m a believer. Christmas has been and remains a season of magic and mystery. In Prancer, a young girl named Jessica makes her belief and love for Santa known, giving others a reason to pause and ponder. Jessica’s passion for Santa preserves, but not before a classic reading of an excerpt from “Yes, Virginia, There is a Santa Claus” takes center stage. There are moments that deliver us the gift of memory. This week I recalled watching Prancer, and a fellow believer, Jessica, take on the task of celebrating Santa. Joy poured out of me. On Monday my phone rang and the voice on the other end boomed loudly and proudly, “This is Santa.” Santa Claus is real. His spirit and generosity enchants us each December, and today he arrives in Madison. A month ago or so I reached out via Facebook to see if Santa had a moment in his busy schedule to talk to me about Madison. 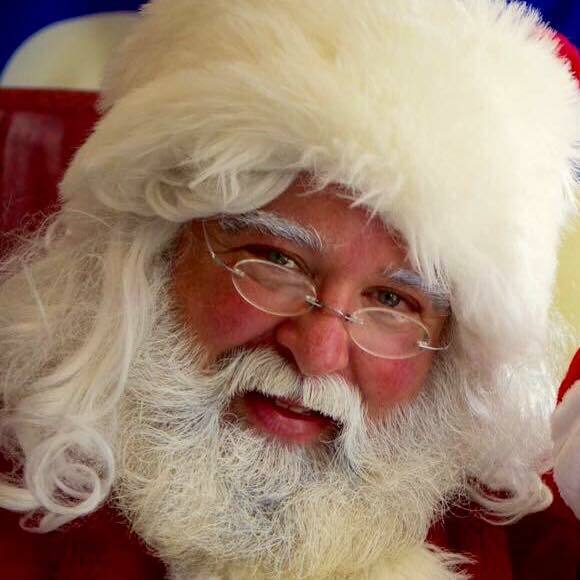 As a believer and mom of two, I wanted to talk to the big guy about our town, tips of the trade, and everything Christmas. I must have made the nice list because we had a lovely chat, which I’m happy to share with you. ME: Santa, what’s so special about our town? SANTA: Madison is a united community with a center to its town, which makes holidays festive and fun. Walking down Waverly Place it’s clear that Madison has the Christmas spirit. ME: Santa, I’m new in town. I know you’ve been coming to town for a long time, but when did you start visiting with children at your place on Kings Road? SANTA: This is my ninth year in Madison. Every year it gets bigger and better. ME: Forgive me for the token question, but what’s the best part of your job? SANTA: I love the magical moment when I see a child’s eyes light up. The hugs I receive are the best. ME: What tips would you offer parents of younger children who are visiting you for the first time? SANTA: Don’t cling to your child. Let your child walk to me. Some children are scared. It’s okay. I have a pretty good record of making children feel comfortable. ME: What else can parents tell their children about visiting you? SANTA: People always want to know where my reindeer are when I’m visiting with children. It’s busy on Kings Road so I can’t bring them with me. I leave them at a nearby farm. I have a helper who drives me back and forth so that the reindeer are safe and I can visit the children. SANTA: I never leave a child behind. I want every child to have the chance to visit with me. My hours are posted on Facebook and my special events are noted there as well. It’s a busy time of year and I’m excited to be back. Just typing this makes my heart smile. What is it about Santa? Hearing his voice sent me right back to childlike wonder. In Prancer, Jessica fought hard to convince her community of Santa's existence and perpetual presence in the world. But this is a town of believers. Like Santa said, our holiday spirit is evident. Yes, Virginia, there is a Santa Claus. He's in Madison. "He will continue to make glad the heart of childhood."